We have a spectacular display of our favourite Christmas flower in Festive Houseplants for you to enjoy with over 20 varieties in shades of pink, white and red, we are sure to have the perfect poinsettia for you! We also offer gift wrap, home delivery and can take your order over the phone so if you cannot visit us in person we can arrange to have this beautiful gift delivered in time for Christmas! Legend has it that a poor child in Mexico having nothing to give the Infant Jesus on his birthday gathered some weeds into lovely bouquets, the only gift he had to offer. 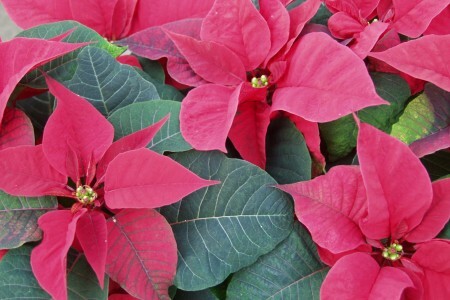 When he brought his gift to the manger, the simple weed was transformed into a brilliant red bloom – a poinsettia! Now known as the beautiful “Flower of the Holy Night”.